@KonicaMinoltaUS: “We’re honored to be a part of #PrintChat today. 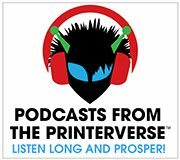 We’re always looking toward the future of print; we’re excited to get your take on how print customers are evolving. We have @ErikHoldo, Konica Minolta’s Sr. VP, Production Print Solutions, here to help lead the conversation. According to @hashtracking 40 contributors generated 713 tweets delivered to 6,575,489 timelines on Twitter for this #PrintChat!